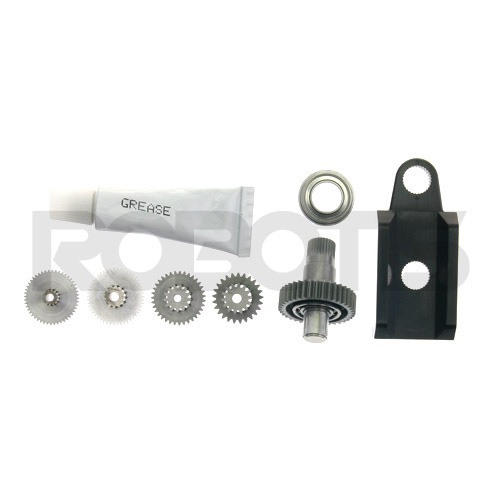 This gear set is for the Dynamixel MX-106. Made with metal and specially coated to strengthen endurance and durability of abrasion. A MX-106 exclusive magnet is attached to the wheel gear. There are 2 wheel bearings included. NOT compatible with the EX-106+. The MX-Series Dynamixels use a contactless position sensor that requires calibration after gear replacement. Please use the Dynamixel Wizard for self-calibration.